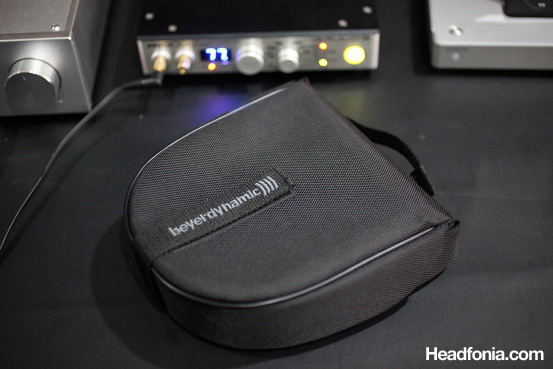 I just received the super cool looking Beyer T50p portable headphone. Brief comparison to the other closed headphones (HD25-1, Shure SRH-840) reveals that the T50p is much superior in resolution. It’s really a baby T1, and it would seriously challenge the supremacy of more expensive portables like the ATH-ES10 and the Ultrasone Edition 8 in technicalities. The treble is pretty much the best I’ve heard on portable headphones, getting very close to the T1’s treble territory. Very clear treble, very well extended, and yet very smooth and effortless, and in some ways reminiscent of the treble in Stax Lambdas. The Edition 8, though a very fine headphone by itself (you can find the review here), simply can’t match the treble resolution of the T50p. I think Beyerdynamic has succeeded in creating a truly revolutionary product in the T50p than they did with the T1. 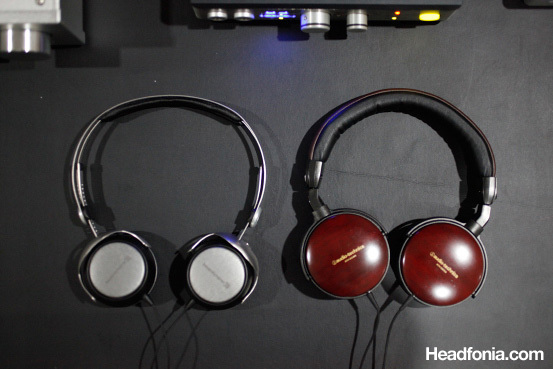 Clearly, the full size, 600 Ohms T1 headphone is still superior in terms of technicalities. 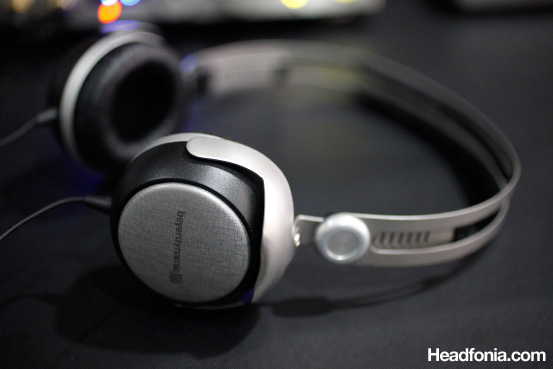 But what I mean is that while the T1’s performance doesn’t stand out so much in the realm of flagship full size headphones, the T50p is truly a revelation in the class that it’s competing in. When I first heard the T50p straight from the box, I only hear the brilliant treble, but everything else is not very good in terms of frequency balance. I thought that the midbass control was lacking, and that there is a dip in the midrange area which makes the problem worse. However, after only a few hours of running in, the frequency balance has smoothed out a lot, and it’s becoming very nice to listen to. I think that the improvements here are more on the pads softening and following the shape of my ears better. Previously it’s very hard to get a good sealed fit, but now the fit is very good on my ears. I compared the T50p to the T1 from the Burson HA-160 amp. 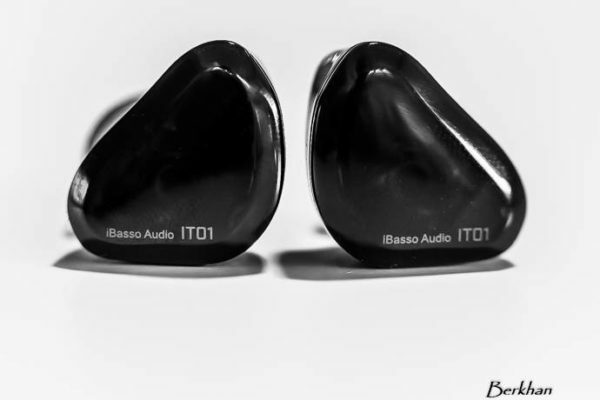 While the T1 ultimately has a more superior technical performance, its musicality is not very good, lacking a little warmth and midrange body. 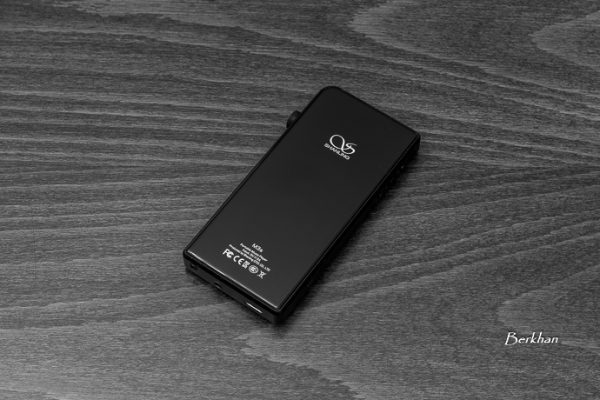 The T50p is more favorable in terms of musicality, having a less hot treble, slightly warmer sound, and more midrange and bass body than the bigger brother. I also played some female vocals on the T50p and found the T50p to have more body on the vocals than the big brother. Very good indeed. 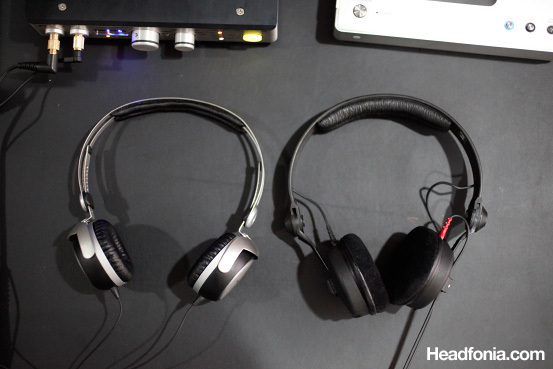 In my experience, it’s easier for a closed headphone to have more low end and midrange body than an open headphone, and that’s probably the biggest reason that the T50p has more body than the T1. Yet, headphones with fuller low end body often also have less precision in the bass areas, and that’s what I’m hearing here too. The T1 has a much better control and focus on the bass than the T50p. Keep in mind that the T1 is still superior in terms of overall technical performance, and these comparisons are just for the sake of giving a picture of how the T50p sound. 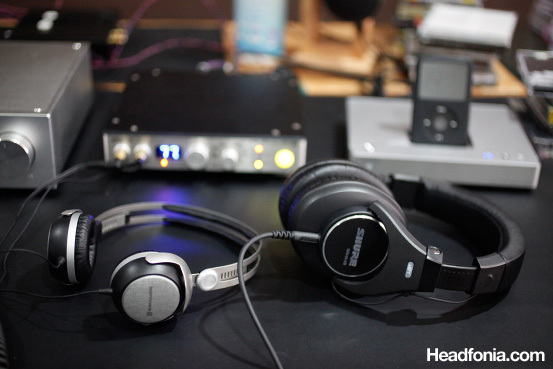 Beyerdynamic T50p with the T1 at the back. These observation is taken when the T50p has less than 24 hours of run in, and so I will hold final comments after at least 100 hours of playtime. Compared to the Sennheiser HD25-1. Compared to the Audio Technica ESW-9. Compared to the Shure SRH-840. 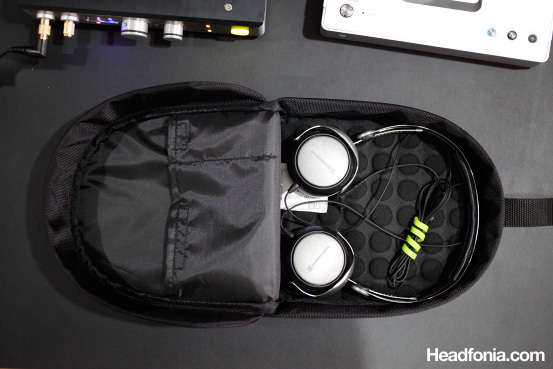 A carrying case is included with the T50p. Very functional indeed. The compartments can be used for a portable amp and an Ipod. The brilliantly designed aluminum frame allows full 180 degree rotation of the cups to either direction. Very sturdy hinge should last for many years. btw did the pads use like leatherette product such on PX200? if yes do you feel a slight warm or burning sensation after long use? Yes, more or less it's like the PX200 pads. Perhaps this one is better in quality, because I don't feel the warm or burning sensation. Thanks for the first impressions and the very useful comparison pictures. I actually never expected the T50p to be that small in comparison to the ESW9 and consorts. Definitely a strong asset when it comes to portability. Do you think that when used unamped from the headphone out of, say, an iPod or a Cowon they loose all the good things you mentionned about them and get closer to other portables headphones such as the ES10 ? Also, do you feel that unamped they tend to become a little thin sounding in the midrange ? What about in comparison to the ESW9 ? 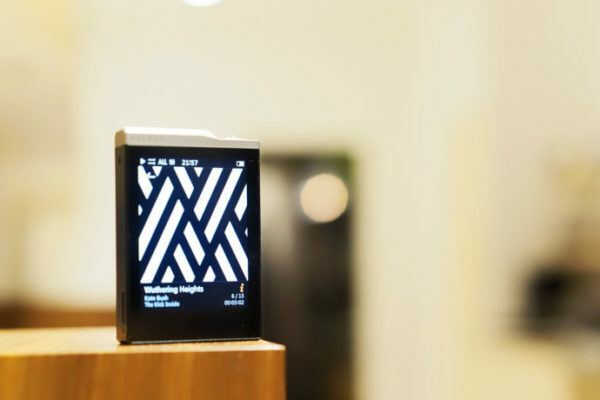 Actually most of my impression here is direct from an Ipod Nano 5th Gen. Of course it doesn’t have the bass punch of the ES10, but I feel that it’s better in a lot of other areas. And no, the T50p is not thin in the midrange. The signature is different than the ESW-9, but I’d still say that the T50p is not thin in the midrange. Just compared the midrange on the ESW-9 to the T50p, and I find the ESW-9's midrange to be much sweeter and mellower than the T50p. I think vocal lovers will still prefer the ESW-9 to the T50p. Have you ever seen a pair of dt250s or dt990/770/880 (2005)'s? How does the fit compare? 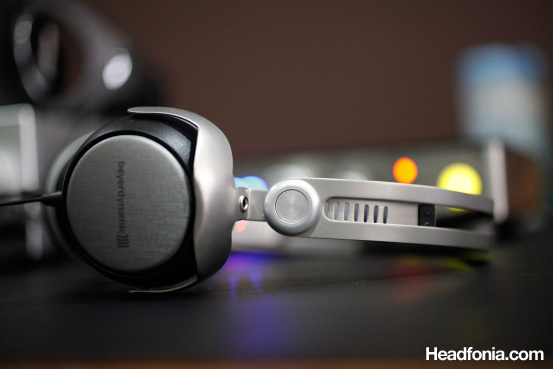 What I mean is, what "click" is one of these headphones on, in comparison to the t50p. I have a 56.5cm head and I'm afraid they're gonna be too big. Dt250s fit at 3 clicks for example. Thanks for the 1st impressions! Yes, the T50p is the least accommodating for small heads, but the EWS-9 is only different by 1 click, and I never hear anyone complaining about its fit. Well I've got a fairly large head, so I can't say if the T50p will be good on small to medium sized heads. Mike, one of my friend who own this stuff said that T50p is a bit mid-centric, means it does really well with female vocals but lack of precision in other sector especially low bass. What do you think about this? T50p has a pretty full sounding mids and does well with vocal, but still is not the best with female vocal. The B&W P5 headphone fits the description better. It's more mid-centric, and does female vocals much better. Perhaps your friend is used to the sound of the '05 DT770/880 line, and the T50p does have more midrange body than those. I still wouldn't call it a mid centric headphone though. The magic is in the treble with this headphone, very electrostat like smooth. Yes, the bass is not too precise, and low bass is not too evident. But the good thing is that there is more low end body in the T50p than there is in the T1, so it works better with a wider range of music. Thanks for the fit info. The 990s are 1-2 clicks on me, so it may be a bit iffy. Still I'm hoping that Beyer didn't make these for medium to xl only. How good are the t50p compared to DT880pro? 1. DT880 has bigger soundstage. 2. T50p has smoother treble. 3. T50p has fuller bass and midrange body. 4. DT880 has deeper, lower extended bass. I'm at 72 hours of burn-in so far, and it keeps getting more controlled and smoother with each listen. In fact I'd say this is special headphone. Then again I think the dt990 600ohm and the dt531 are/were special for different reasons as well. Beyer is pretty good at making a headphone that produce strong feelings for me, whether for or against (like dt880 versus dt990 600 ohm manufacture. The abomination that is the djx-1 – but is also still fun. I've still not forgiven them for discontinuing the dt531.). I have another (strange 🙂 question. Are the t50p simply better than dt880pro? I’m asking for your opinion. 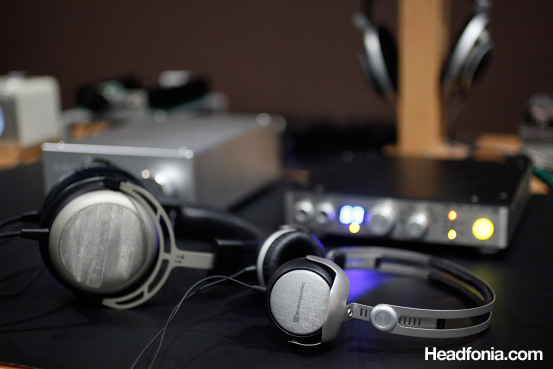 I think the T50p will be better suited for music listening, while the DT880 is more of a monitoring headphone. my t50p has about 200 hours of burn in already and i think it is safe to say that it is better than my es10 and p5. Soundstage is the biggest i have heard on a closed portable. bass is extending deeper with more burn in. I think some brown noise should seal the deal. First impressions at canjam 2010 were not good and i kept telling myself it is simply impossible for a company like beyer with lots of rnd to make a dud in the headphone industry. Waiting for some more of your impressions dude! What's the difference bet. T50p and B&W p5? I haven't really done an extensive listening time on the P5, so this is just based on a short listening impression. The P5 is very musical and midrange oriented. It should be very good with vocals, and female vocals especially. The T50p, on the other hand, tries to be a more technical headphone, while still maintaining a good mid and low end body. Normally I would've preferred something like the T50p, mostly due to my choice of music. But my impression with the T50p hasn't been too good lately, and on the other hand the P5 is not something that would work well for my music. Ultimately, I think the P5 is the better tuned headphone, although it may not be an expert in technicalities, what's important is the musicality. The T50p, on the other hand has some issues in the frequency balance, but I'd choose it just because it's closer to the sound that I'm looking for. Still torn between p5 and t50p. The p5 has a better fit, replaceable cable, iphone controls. The t50p has a more interesting, compellling sound. I have also noticed that the p5 cable with iphone controls performs very poorly with some non-Apple devices, e.g., Nokia: the controls of course do not work but the sound improves dramatically when the PAUSE control is pressed. Any clue ? I’ m looking forward to read your p5 review. Thanks. Sorry I’ve missed doing the review on the P5. Sound signature is totally different between the two. T50p has better, richer treble, but that’s it. Midrange down, the P5 is better. The majority of mainstream music would sound better with the P5 in my opinion. so mike hows your t50p been lately? have you reached 200 hours of burn in already? I would like changed my headphone and I hesitate between the beyer t50p and the stax baby. Which hushing up would recommend me? Whoa, charles, that’s two totally different headphones. What qualities are you looking for? Will you be using them outdoors? The T50p is more convenient to be used outdoors, while the baby stax will require you to carry around the portable amplifier everywhere you go. The stax will give you a taste of what the electrostatic sounds like. Those are some valid points to consider. The baby stax is also an open design so it won’t give you noise isolation when used outdoors. I already have electrostatic experience since I have a sennheiser he60. If there is no isolation with the stax I will choose the t50p. But I also saw the ES10 my decisive question is: which isolates the most ? I have a esw9 and it does not isolate enough. The T50p isolates less than the ESW-9, and the ES10 is roughly on the same ballpark. The Sennheiser HD25-1 isolates far better than any of them, and likewise the Audio Technica M-50 is also a strong second candidate. a question, could you compare the isolation of the shure 840 and the m50 please, which is better? How would you compare the t50p with the dt770pro with the plastic body? Totally different sound. The DT770 Pro (250 ohm version, which most people have) is a monitoring headphone with a bigger soundstage, more precise sound, clearer bass, but lacks the bass and midrange body. The T50p has more music-oriented sound than the 770 Pro. When you say bass, and midrange body do you mean warm, or a hump in the lower midrange and upper bass? I uses to HD600, but I need a closed headphone for work, and the living room and want something precise, but interesting too. Is the T50p more like my HD600, and the DT770 not? Would the 600 ohm DT770 be more musical, or even more precise. When I say bass and midrange body, I mean stuff that you find on headphones like HD600 and HD650. The mids and the bass has a "body", i.e: not thin or skinny. I really like the DT770 pro! Escpecially the low frequencies this cans can reproduce are great. Sweet. Let me know how you like it. T50p possibly the wooooorst headphone I have ever owned. Received as Christmas present and still trying to run in/out that treble which wouldn’t even be tolerated on a free in-flight headphone. No depth no bass. Just given them to my 7 year old who will hopefully destroy them on the school run. Back to the RS1’s …..
Hey mike! i would really love to know if the Beyer DT1350 are any better than the T50p? improvement in the low bass, which is one of its main issue. not exactly looking out for a unit to review. What are the best headphones for listening to music without amp for iPhone/macbook. 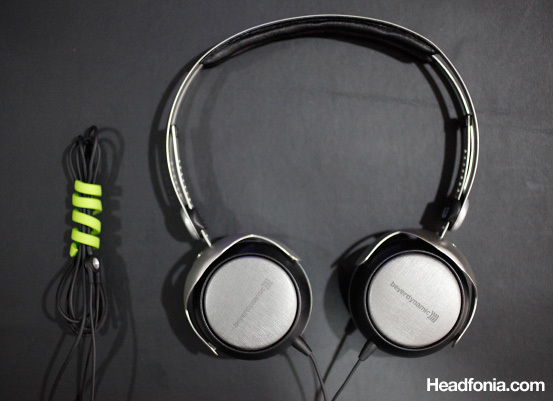 I am stuck between Sennheiser HD558 or these, the T50P. I listen to pop, jazz, classical, piano, dub step and etc. Try the Philips Fidelio L1 that I just reviewed. I got myself a T50p for university use – the serial number is 25xxx and it has the bag of the newer DT1350 as well as, it seems, the newer earpads.